So many people are gearing up for holiday parties and weekends filled with extra guests and family members; it’s all magical. 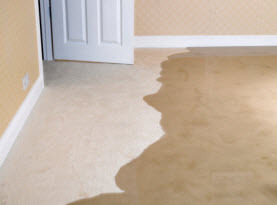 While the holidays are a wondrous time of year, the added guest list can take a toll on your carpet. 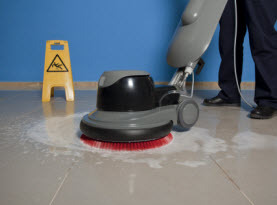 CA Carpet Cleaning & Water Damage Clean Up is here to share some tips to help you keep your carpet clean this holiday season, no matter how many guests you have in your home. One of the best ways to keep your carpet clean regardless of the season, is a welcome mat. Your welcome mat should be large enough that the first four steps are taken on it once someone enters your home. These mats will remove a generous amount of dirt and debris that can be found on the bottom of your shoes. When choosing the right welcome mat, choose one that is made of coarse bristles. These mats will be able to effectively remove debris much better than one that is made out of a softer material. There are several coarse mats that are still stylish. You may be wondering what a coat rack has to do with anything? When the weather is less than ideal outdoors, your coats will likely come inside wet and soggy. If those coats are thrown on the carpet rather than hung on a coat rack, that moisture will find its way to your carpet, leaving unsightly stains. Not only can this damage your carpet, but your upholstered furniture can sustain damage when dirty coats are thrown all over it as well. Make it a habit to remove your shoes when you come into the house. You should have your guests do the same. There is very little that will make your carpet as dirty as shoes will. Not only does this ruin your carpet, but it is unsanitary as well. There are so many contaminants on the bottom of your shoes that you would never want on your carpet. There is no doubt that the holidays bring with them some of the best food of the year. When you are preparing the menu for your holiday parties, steer clear of menu items that are likely to leave stains if spilt. This would include dark red beverages and greasy food. When positioning the guests, try to have any children eat on hardwood or tile flooring and this will save your carpet as well. 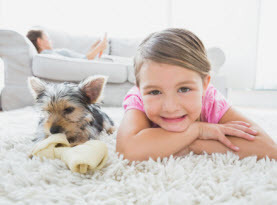 The winter months are the perfect time to have your carpets cleaned by one of the carpet cleaning experts at CA Carpet Cleaning & Water Damage Clean Up. When holiday parties leave behind stains and spills, there is no one that will be able to remove them more efficiently that we can. 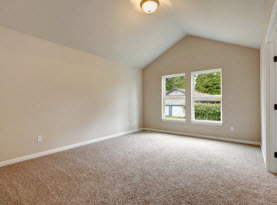 We are able to work around your busy schedules much easier during the winter than in the summer and can’t wait to assist you in cleaning your carpet. Call us today!